From the 1950s into 1961, Robert F. Williams was the president of the NAACP chapter in Monroe, N.C., where he advocated and practiced armed self-defense against the Ku Klux Klan. Williams’ refusal to categorically accept the nonviolent approach to Civil Rights resulted in his expulsion from the NAACP in 1961. Eventually he was forced to leave North Carolina amid an attempt to frame him on false kidnapping charges of a white couple. After being transported out of North Carolina by supporters, Williams eventually settled in Cuba and later the People’s Republic of China. He spent time as well in North Vietnam, where he addressed African-American GIs via radio broadcasts, exposing the racist and imperialist character of the war. Perhaps the apex of solidarity between African Americans and the Vietnamese Revolution emerged when Black Panther Party leader Bobby Seale attended a conference in Montreal, Quebec, in late 1968 where National Liberation Front representatives recognized the party as the vanguard of the revolutionary movement in the U.S. The BPP in return gave full recognition to the NLF as the legitimate government of South Vietnam. The following year saw efforts at deeper cooperation when the North Vietnamese government offered to release U.S. prisoners of war in exchange for the freedom of BPP leaders Bobby Seale and Huey P. Newton. This offer was immediately rejected by the Nixon administration. In August 1970, after Newton’s release on appeal bond related to charges of murdering and wounding two white Oakland, Calif., police officers, the BPP Minister of Defense pledged to send some members to join the armed wing of the Vietnamese Revolution as an act of solidarity. 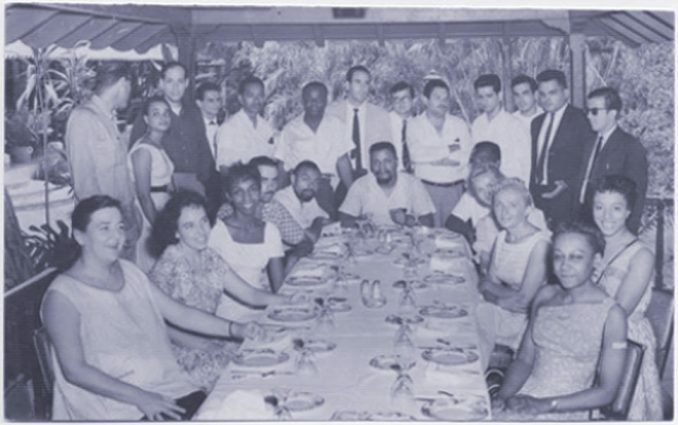 In 1971, Newton and Elaine Brown, Central Committee members of the BPP, visited China where they met with Premiere Chou En Lai. Burgeoning opposition to the Vietnam War among African-American Liberation organizations inspired resistance in the armed forces. Groups such as GIs United Against the War and the Malcolm X Society posed a challenge to the largely white officer corps who utilized discrimination as a means of intimating African Americans and sowing discord within the ranks. Black soldiers grew Afro hairstyles and beards as acts of protest and defiance. Many were radicalized through their experience in Vietnam, swelling the ranks of such groups as the BPP and the Black Liberation Army upon discharge. Although the U.S. announced its withdrawal of ground forces from Vietnam in late 1972 after a horrendous round of bombings that December, the war continued until the liberation of Saigon on April 30, 1975. After a decade of continuing defeats and Vietnamese advances, the U.S. Congress halted the funding of the war, resulting in the collapse of the puppet regime in Saigon. 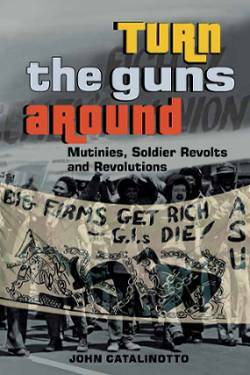 Contrastingly, in the U.S., the political toll of state repression and cooptation from Washington and Wall Street severely derailed the revolutionary wing of the African-American movement by the early 1970s. Robert F. Williams returned to the U.S. in late 1969. The BPP was wracked by an internal split in 1971 from which neither faction was able to fully recover. The onset of the restructuring of the world economy in 1975, coinciding with the defeat of imperialism in Southeast Asia, led to massive capital flight and disinvestment from U.S. cities. This resulted in structural unemployment and deepening poverty among the working class, reinforced by the rapid expansion of the prison-industrial complex. Greater emphasis on electoral politics and business development could not fulfill the national aspirations of the African-American people. In the nearly 45 years since the Vietnam War, African-American people fought — and are still fighting — against national oppression, class exploitation and government repression. The experience acquired during the successive administrations of Lyndon B. Johnson, Richard Nixon, Gerald Ford, Jimmy Carter, Ronald Reagan, George Bush Sr., Bill Clinton, George Bush Jr., Barack Obama and now Donald Trump necessitates a renewed effort to overcome the ruling class and its state apparatus. These events during the period of the 1950s through the mid-1970s are important to recount in light of the revisionist history surrounding the role of both white radicals and African Americans during the Vietnam War. Absent the persistent military and political fortitude of the Vietnamese people, along with resistance from African Americans, both outside and inside the military, victory against imperialism would not have been possible without additional years of fighting. The selective service system in the U.S. suffered a monumental setback when the draft was abolished in 1973. Later in 1980, registration was reinstituted, but the draft has not been fully reinstated. However, there is an economic draft due to poverty and joblessness that has fueled the war machine launched by Washington through the wars in Iraq, Afghanistan, Haiti and the present targeted attacks, deployment and commando operations prevalent in Somalia, Niger, Yemen, Syria and Iraq. In the first year of Trump’s administration, tensions have escalated with the Democratic People’s Republic of Korea, whose nuclear program has served as a pointed warning to the Pentagon and other potential adversaries. People’s China has developed into the second-largest economy in the world, while its conventional military forces total more than 3 million well-trained soldiers. U.S. taxpayer monies invested in the military and security apparatus total at least $1 trillion annually, when funding for both the Pentagon and intelligence services are taken into account. Although it cannot create a sense of sustainable security for the ruling class, Washington’s war budget is larger than all other states combined. Despite all its rhetoric and sloganeering, the U.S. ruling class remains insecure. The advent of Trump is a manifestation of the paranoid atmosphere existing among the imperialists in Western capitalist nations. African Americans have no other choice than to reject the Pentagon war machine, since it has only resulted in their underdevelopment, displacement and ongoing national oppression. The eventual demise of U.S. imperialism can only strengthen the struggle for liberation and social emancipation of the oppressed.